Finlandia University Gallery will present Michael Friend .COM, an exhibit of large-scale paintings. .COM will be on display at the Finlandia University Gallery, located in the Finnish American Heritage Center, Hancock, from October 25 to November 20, 2018. An opening reception for the public will take place at the gallery on Thursday, October 25th, from 7:00 to 8:30 p.m. Michael Friend will present an artist talk beginning at 7:20 p.m. The reception is free and open to the public. Refreshments will be served. Influenced by Georges Seurat’s technique of Pointillism and Vincent Van Gogh’s rich use of color, Michael Friend creates paintings that are both precise and experimental. 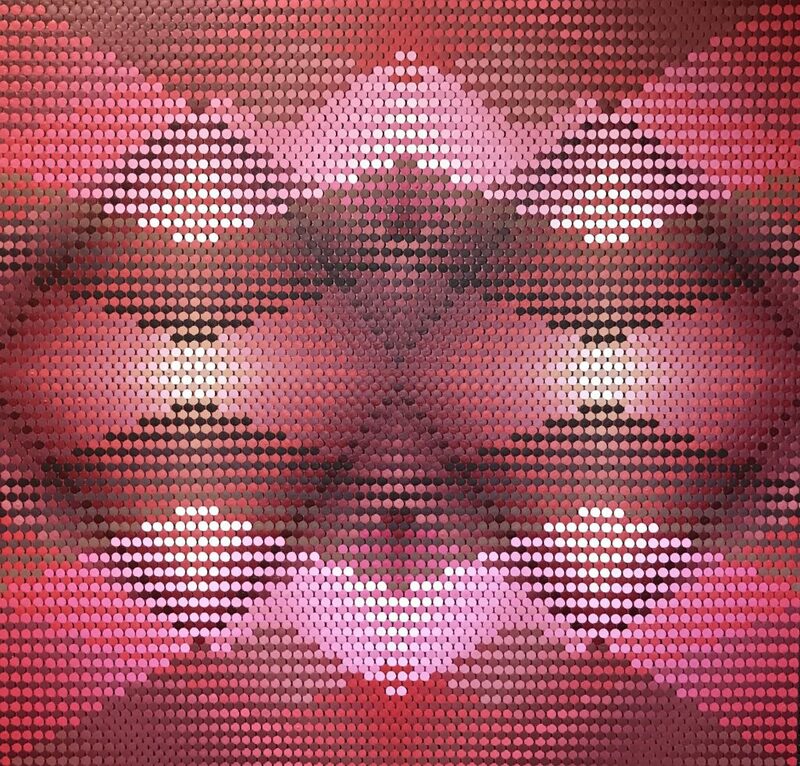 Translating his interest in film animation to 2D work, Friend’s technique of applying a grid structure to the canvas with slow transitions of colored dots creates a slow moving pixilation. Labor intensive and painted by hand, Friend’s paintings display dynamic color relationships, dimension and ultimately visual poetry. 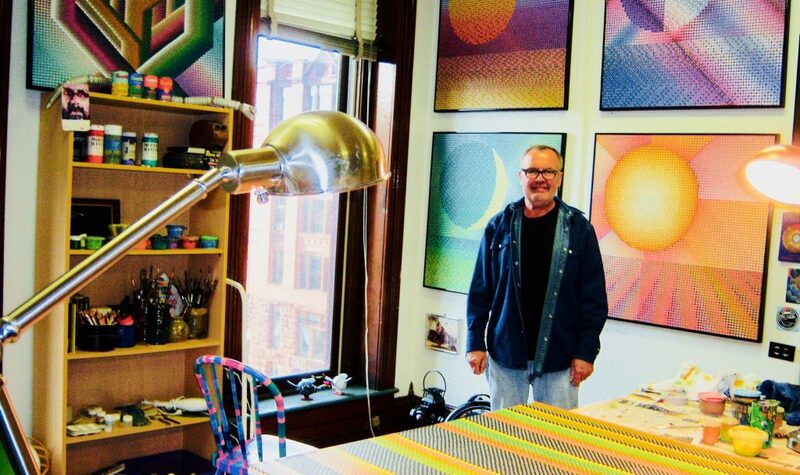 Michael Friend earned his Masters of Art in Art Education from Northern Michigan University in Marquette. For 35 years he taught art and filmmaking in the public schools. Friend’s paintings have been exhibited throughout Michigan, Arizona and Washington and he has participated in Art Prize, an international art competition in Grand Rapids. Michael Friend .COM will be on display at the Finlandia University Gallery through November 20, 2018. The Finlandia University Gallery is in the Finnish American Heritage Center, 435 Quincy Street, Hancock. Gallery hours are Monday to Friday 8:00 a.m. to 4:30 p.m. , Thursday 8:00 a.m. to 7:00 p.m., Saturday 12:00 p.m. to 4:00 p.m. For more information, call (906) 487-7500 or email gallery@finlandia.edu.